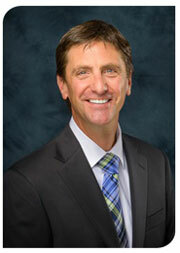 Dr. Cliff is the founder and President of Family First Chiropractic. 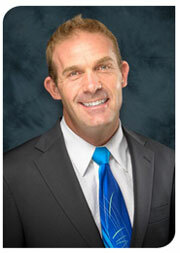 He continues his passion of helping people by practicing chiropractic care in the Sparks, NV office. He promotes teaching patients the methods and philosophy of living a healthy way of life through chiropractic care and believes children should be raised to express their innate greatness and potential by teaching parents the Chiropractic Principals of health and methods for raising drug-free children. Reno location Clinic Director, Dr. Jack J. Nolle enjoys teaching, learning, and sharing with patients, peers, and the public his knowledge of health and chiropractic. Raised in Reno, NV, Dr. Jack attended the University of Nevada and then proudly served our county in the United States Navy for eight honorable years. Dr. Rick is passionate about changing the world’s notion of what healthcare is. “It’s not drugs or surgery, it’s a natural approach to healing.” The Northern Nevada native also educates his patients about topics such as nutrition and stress reduction, and he works to help athletes at every level of training and competition. Dr. Rick’s interest in chiropractic took root in high school. After reading a book about the body’s ability to heal itself, he realized it didn’t make sense to use drugs that could interfere with that ability. 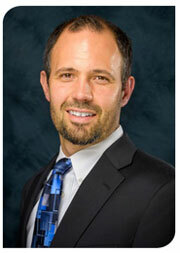 Dr. Aaron McJones was born and raised in Reno, Nevada. He attended the University of Nevada, Reno, where he received a Bachelors degree in Community Health Science. Following his degree at UNR, Aaron found a passion for the healthcare field when he began working as a physical therapy aid. Through his work in physical therapy, he discovered that helping others was his calling. Aaron attended a talk at family first chiropractic where the president of Life west chiropractic college spoke about chiropractic. That’s when Aaron found his true passion—chiropractic. From the time he was young, Dr. Raymond (Ray) Daniels enjoyed learning about the human body and how it functioned, partially thanks to his Grandmother and her daily yoga practice. After playing three years of college baseball, Dr. Ray knew it was time to consider his professional options outside of athletics. When he thought about who seemed most happy and fulfilled, his chiropractor always came to mind. The rest, as they say, is history. After learning about the human body’s innate ability to heal itself, he fell in love with the practice of chiropractic and is thrilled to be able to help people regain their health. Dr. Shain graduated from Damonte Ranch High School and completed his bachelor’s Degree in Community Health Science at the University of Nevada, Reno. He continued his studies in California, graduating with his Doctorate in Chiropractic from Life Chiropractic College West. Dr. Shain takes a scientific approach to the chiropractic adjustment with an appreciation for the body’s ability to self-heal and self-heal through a balanced nervous system. He enjoys spending his spare time with his wife and son and their two dogs. You can find them hiking in the mountains, riding dirt bikes and hanging out at Lake Tahoe. He has worked hard to become fluent in Spanish and he can’t wait to serve our entire community! Sign up for our monthly newsletter and get practical health tips delivered right to your inbox.